Recently some old friends in Akron, Ohio, turned up a few pages of the pre-TSR homebrew Dungeons & Dragons rules created by Tom Moldvay and me in the mid-1970s. I was delighted to see them, as I thought all of our early collaborative work had been lost to history. I first encountered Tom Moldvay in late 1973 at a meeting of the Kent State University Science Fiction Club. We hit it off right away, and quickly decided we ought to collaborate on something — we just weren’t sure what. 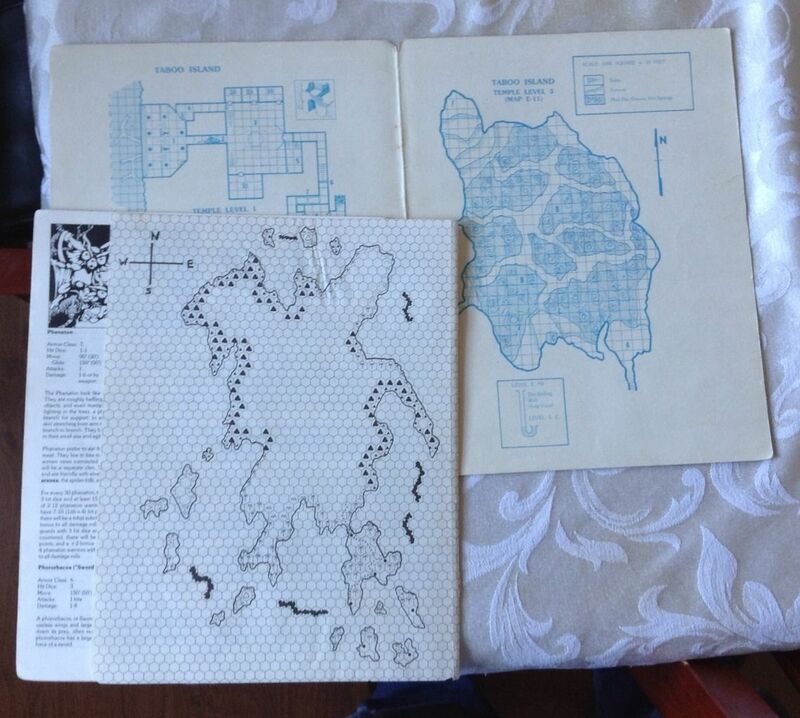 In early ’74 Tom came back from an SF convention with Dungeons & Dragons in its original white box edition. 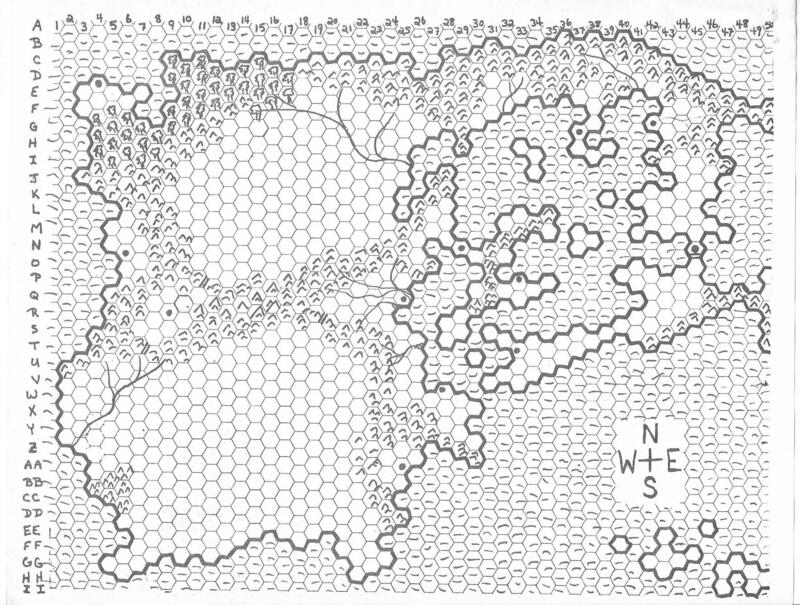 He DMed a session, I DMed a session, and suddenly we knew what we were going to create together: a fantasy world setting for D&D. We had both read widely in world history and mythology, and enjoyed a lot of the same fantasy fiction; we traded Lin Carter’s Ballantine Adult Fantasy books back and forth until we’d read them all, as well as everything we could find by Howard, Lovecraft, Tolkien, Merritt, Haggard, Harold Lamb, Dunsany, Hodgson, Machen, and Zelazny. We were both nuts about Clark Ashton Smith, Tom was a Michael Moorcock and Philip José Farmer fanatic, while I could quote chapter and verse from the works of Jack Vance and Fritz Leiber. So we knew what we wanted to create: a single world setting that would enable us to simulate the fictional realities of these, our favorite authors. It was going to have to be a big world. Most fictional fantasy worlds, of course, are based on aspects of our own world and its history. We decided to plot out a single giant Pangea-type continent on which there would be fantasy-fictionalized versions of each of the above cultures. 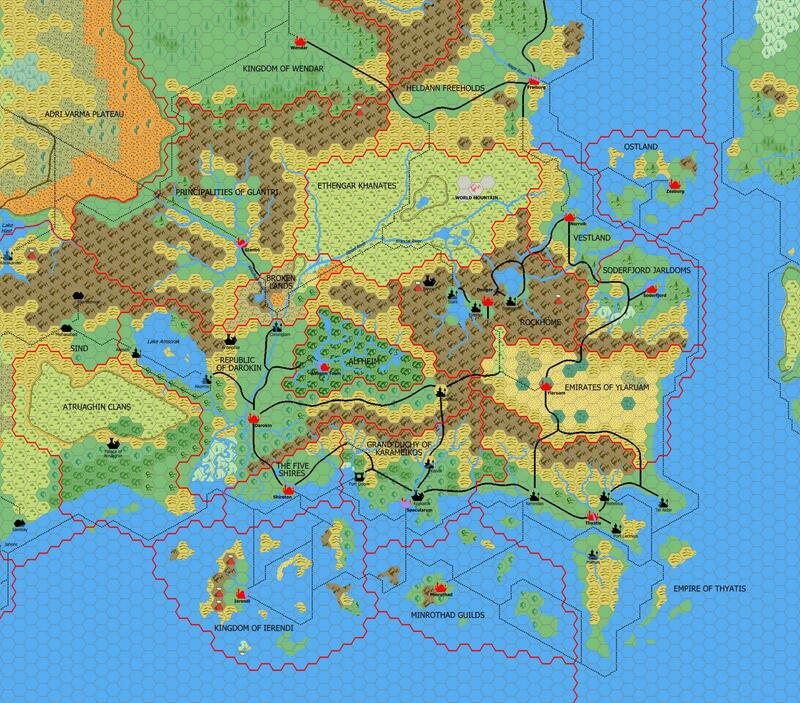 We also added homelands for the nonhuman races: Orcs, Goblins, Elves, Dwarves, Hobbits, Lizard-Men, Deep Ones, Kzinti Catfolk, and Barsoomian Tharks, as well as a pirate kingdom, and areas where prehistoric creatures were the norm. Plus in every land there would be hidden cults that worshiped Lovecraftian Elder Gods. We dubbed this setting the “Known World,” to imply there was more out there yet to be discovered, because we didn’t want to paint ourselves into a corner. It was our intention to use the Known World in ongoing open-ended campaigns run by multiple DMs, in which player characters could go back and forth from one DM’s game to another. Moldvay and I were already running our own campaigns this way, and we hoped to bring other DMs on board as well, so we’d all be playing in the same giant sandbox. That meant we were going to need detailed write-ups on each of the various Known World cultures, so there would be consistency in how different DMs depicted different areas. For every culture we needed to specify how it was organized, who ruled it and by what methods, what gods the people worshiped, what their economies were founded on, what other states were their traditional rivals or allies, what their geography and environments were like, key cities and fortresses, important events in recent history, and so forth. Setting out to do this for two dozen homelands was pretty ambitious, but why the hell not? We were college students with plenty of time on our hands. Moldvay and I had complementary skills and personalities, and we worked well together: where I was meticulous, organized, and precociously professional, Tom was brilliant, creative, and indefatigable. We made a great team. 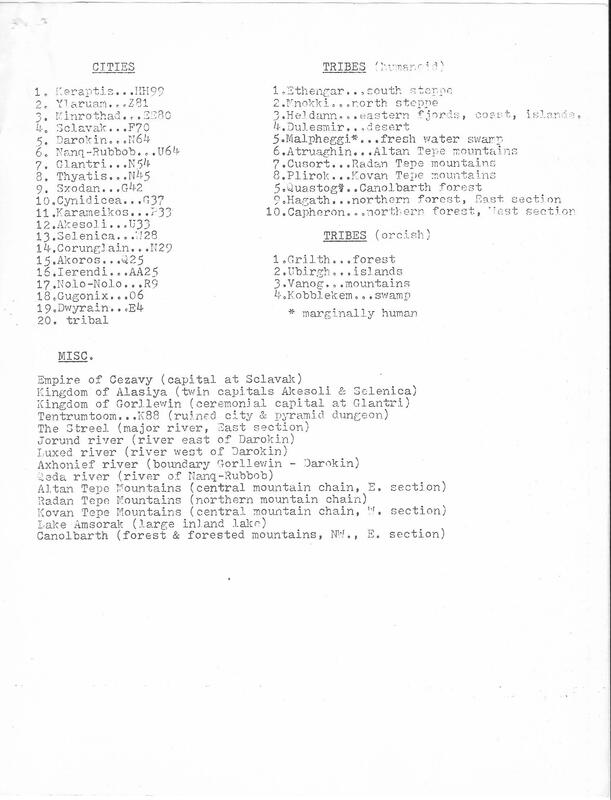 Moldvay did most of the initial culture write-ups, whereas I created the leading non-player characters in each homeland; I was also the Name Guy and came up with most of the location names, drawing on Dunsany, Vance, and Clark Ashton Smith for inspiration. We were also inspired by how H. P. Lovecraft and his circle all drew from each others’ works in creating stories set in a common setting. We thought, by imitating that approach, we could create something the sum of which would be greater than its parts. And it would be an open setting that drew in the work and creativity of whoever wanted to contribute to it. 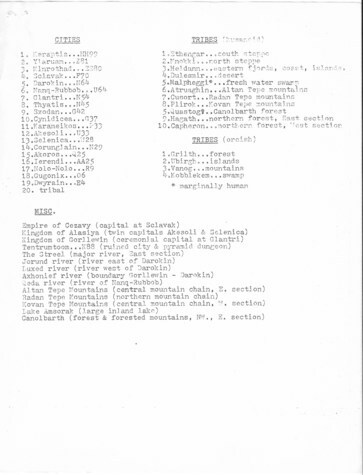 It took us two years and countless revisions, but by the end of the summer of 1976 we had the Known World documents and maps in a state we were satisfied with. 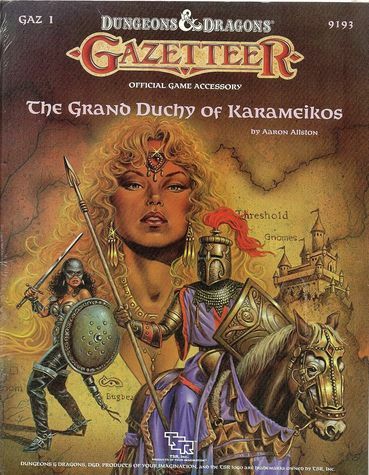 Other local DMs were already using the setting from preliminary write-ups, and players in campaigns in Akron, Kent, and Cleveland were all playing in a shared world, adventuring together in the Republic of Darokin, the Emirates of Ylaruam, the Ethengar Khanates, the Principalities of Glantri, the Grand Duchy of Karameikos, and the Empire of Thyatis. What we’d set out to do had succeeded. In early 1979 I went to work at TSR Hobbies as a designer for D&D and other games. I was rapidly promoted to director of the Design Department, and in 1980 I brought Moldvay in to join us as a game designer. 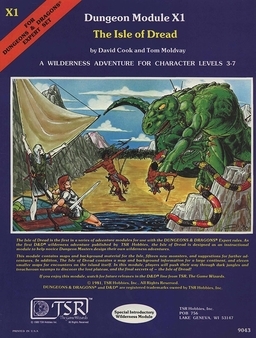 At that time we were preparing a revised version of the D&D Basic Set, as well as a companion box, the Expert Set, which would introduce players and DMs to wilderness adventures in the wider world. So we were going to need a wider fantasy world to put them in. 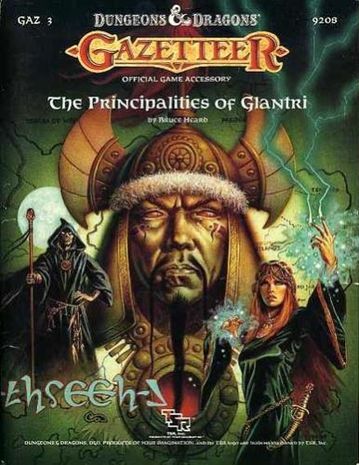 Up to that point most of TSR’s scenarios had been set in Gary Gygax’s World of Greyhawk, but we couldn’t use that, as it was Gary’s personal campaign setting, and was reserved for Advanced Dungeons & Dragons game products. I can’t remember whether it was Moldvay or me who suggested it, but we proposed dusting off our Known World documents for use as the new, standard D&D campaign setting. This got approved, I think by Mike Carr, and a revised version of our campaign map was hexed-up by the Art Department for use in X1, The Isle of Dread module, which was designed by Moldvay and Zeb Cook to be included in the Expert Set box. 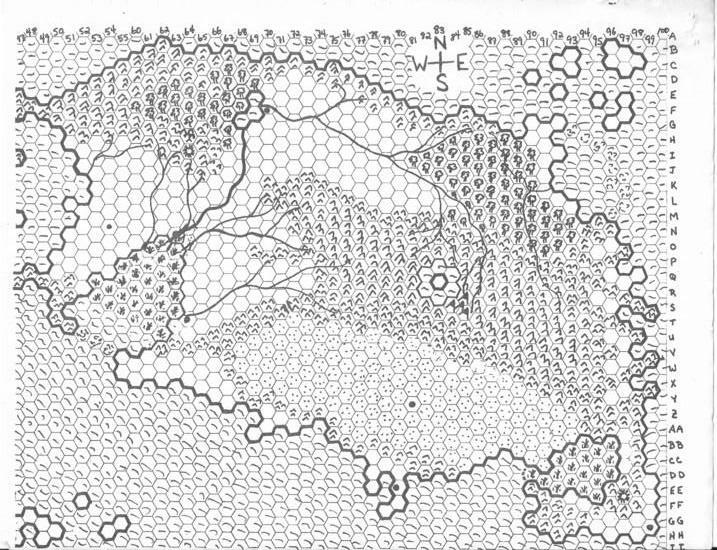 If you look at the original Kent-era maps that illustrate this article, you can see for yourself how Schick and Moldvay’s Known World was adapted to become TSR’s Known World (and eventually Bruce Heard’s Mystara). Ah, the memories it evokes. I just wish Tom Moldvay was still around to share them. I miss him. Lawrence Schick is a game designer mainly known for his work in role-playing games. He also writes and edits historical adventure fiction under the name Lawrence Ellsworth, where his latest title is The Big Book of Swashbuckling Adventure, now available from Pegasus Books. 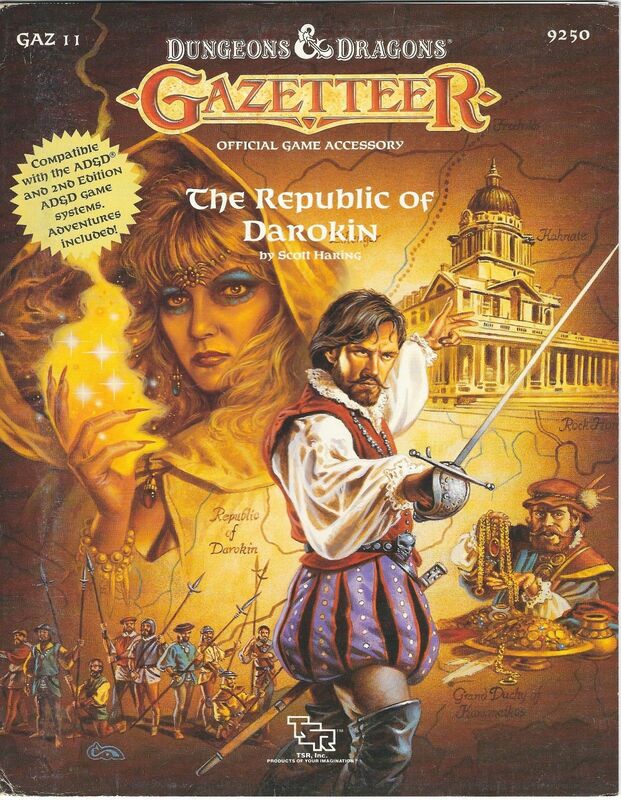 His last article for Black Gate was Compiling The Big Book of Swashbuckling Adventure. Lawrence Schick also writes and edits historical fiction under the name Lawrence Ellsworth; his website is Swashbucklingadventure.net. Thanks for sharing this. 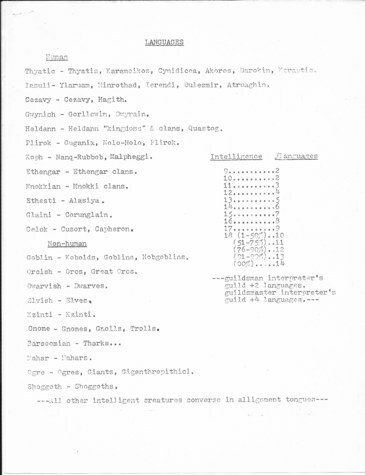 A fascinating look into the early history of the D&D world. Great stuff! 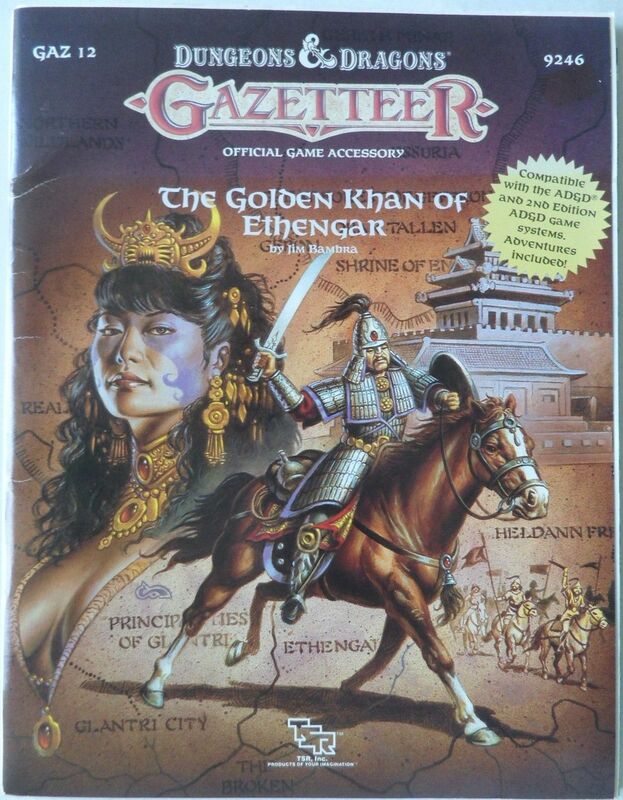 I still have copies of X1 and all of the Gazetteers (which were some of my favorite supplelments). Really appreciate the behind the scenes! Lawrence, thanks for the write-up. I miss Tom Moldvay, too, though I didn’t know him personally. 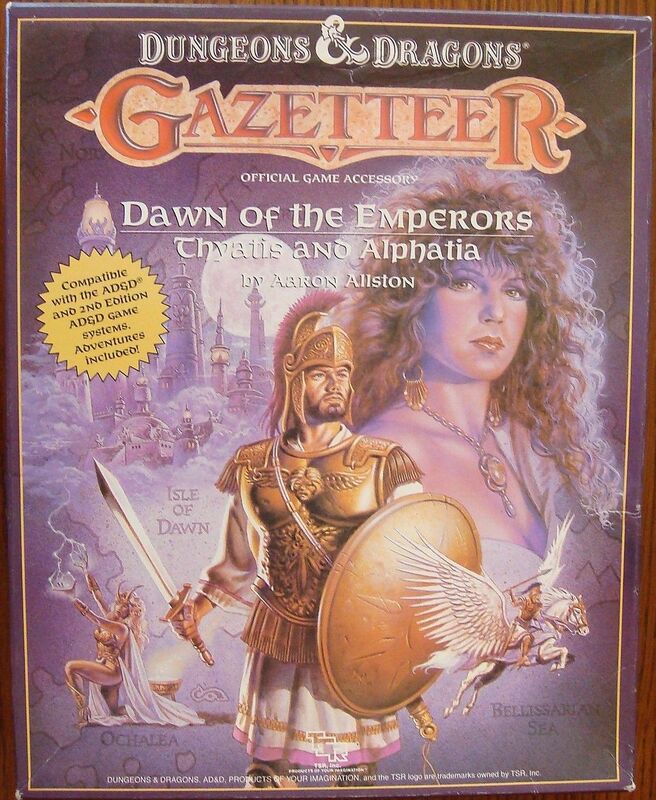 He was one of my favorite game designers, and I still treasure my “Lords of Creation” box set. This was some exciting reading. 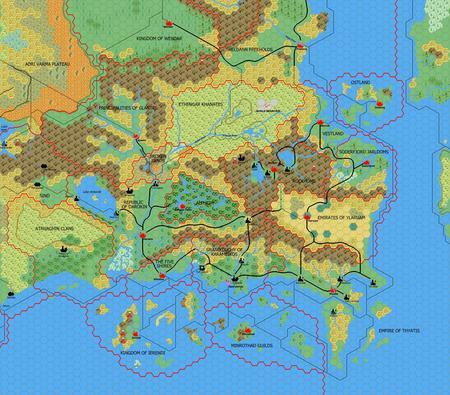 I am a great fan of the Known World / Mystara-setting and is my goto, when I am playing D&D. For many years I have been interested in how the setting came about, and this revealed a lot. It does however also raise a bunch of questions, and I hope that you will write more about the secret history of KW. Right now I would like to ask, as to the relationship of Isle of Dread to your version af KW. Was Isle of Dread designed for your KW or for the published version of KW? If Isle of Dread already were part your designs, what role did the island play then? And was it then lifted wholesale over into the published version? You also mentioned hidden cults worshipping Lovecraftian monstrosities. The strange creatures inhabitating the volcano on the isle, are they part of the tese cults? This article makes me feel nostalgic for the over ambitiousness of youth. I am awed that you carried this project to completion, and then out into the wider gaming world. 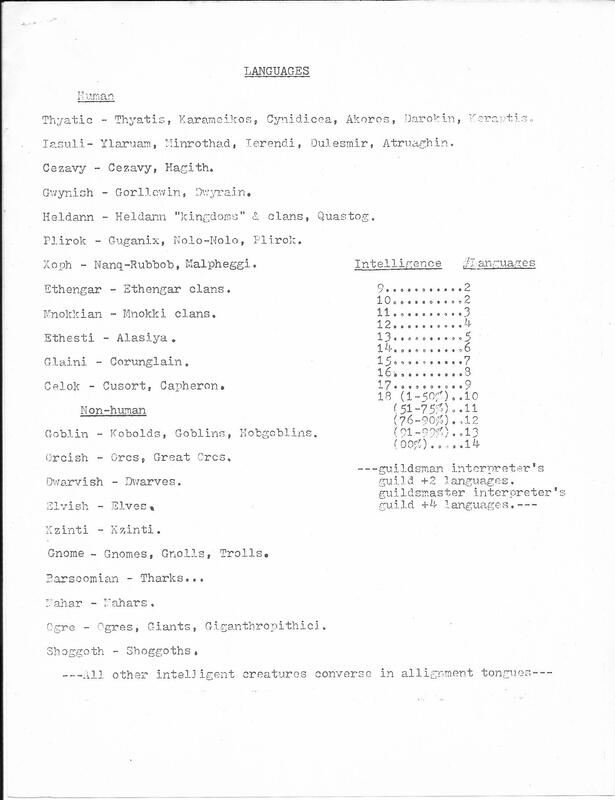 So Keraptis was a Greek country which spoke Thyatian before he became a dark wizard in S2 White Plume Mountain (1979)? Interesting. Thanks for your comments, Greis! The Isle of Dread was essentially one of pre-TSR KW’s prehistoric areas put onto an island to show Dungeon Masters how to create a nice, bounded wilderness area. King Kong’s Skull Island was an obvious influence, of course. 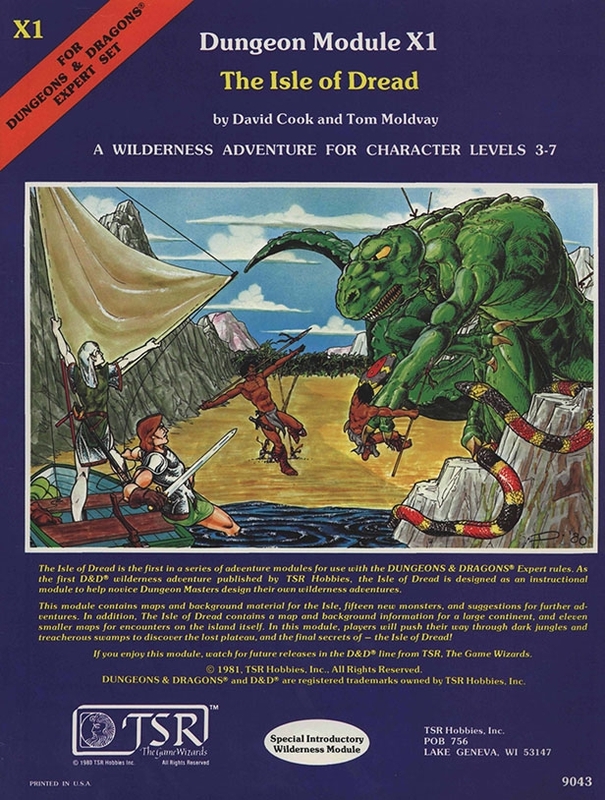 But Tom Moldvay and Zeb Cook designed the X1 version from scratch to meet the didactic needs of the D&D Expert Set. As for the cult on the island, I don’t remember its origins, and I don’t have a copy of X1 to hand—but Zeb works in the office next door to mine at ZeniMax Online, so I’ll ask him tomorrow! I just kicked off a 5th edition campaign using the classic module THE VEILED SOCIETY. During the character creation process, I sprinkled in bits about the society of Karameikos and the players have already begun to take the Thyatian/Traladaran social dynamics and internalize them into their play. The Known World is a wonderful setting that captures the Sword and Sorcery feel that I most want to play. Good stuff!! Still in Ohio by chance? No chance whatsoever, Grilled! I left Ohio in 1979 and never looked back. I currently live in Maryland, where I work for ZeniMax as one of the lead writers on The Elder Scrolls Online, a big fat fantasy MMO. Thanks for the answer, Lawrence. I eagerly look forward to hear more about how X1 came about, so thanks in advance for asking Zeb (and apologies for my clumsy English, but it is my second language). Btw. 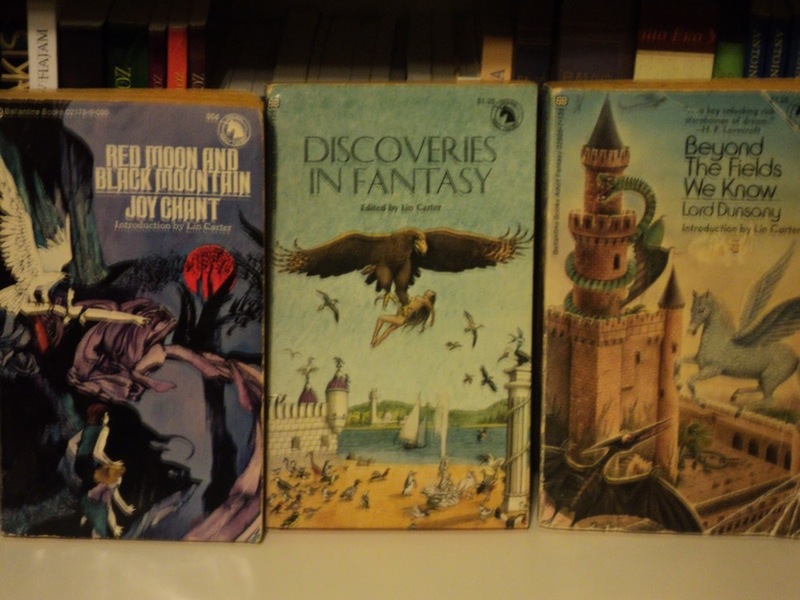 you mentioned a lot of classic fantasy and weird fiction authors as inspiration. Were there also some comics or movies, you drew upon for inspiration? Tom and I were both comic book and film fans, but our sources of inspiration and research were almost entirely prose fiction and world history. Comics and films were secondary at best. 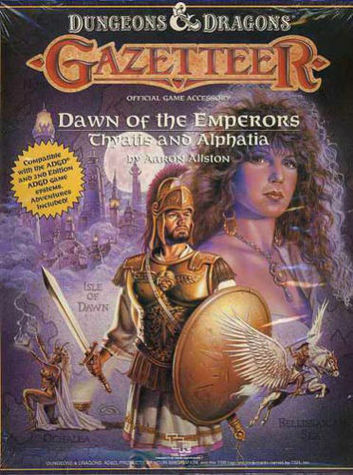 Thank you for creating the Known World, what eventually became Mystara. Are you familiar with the Vaults of Pandius fansite and that despite the long ago “death” of Mystara as an official D&D setting, it has a supremely extensive following and is kept vital by that community? Additionally, I want to say that you probably have the best hair in all of gaming. Some people at RPGNet just finished a huge readthrough of all the Known World material that was published by TSR with lots of interesting background information. 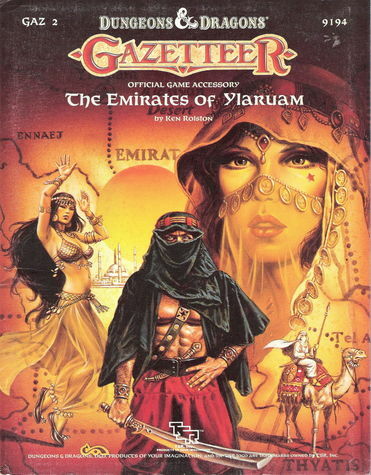 I’m late to this post, but I was doing some searching through Black Gate’s archives for map-making and found this. Absolutely fascinating! 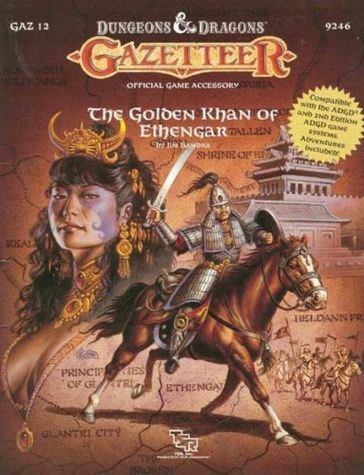 I’m a big fan of the Mystara/Known World setting, so it’s cool to hear the back history. Thanks Lawrence and thanks Black Gate!